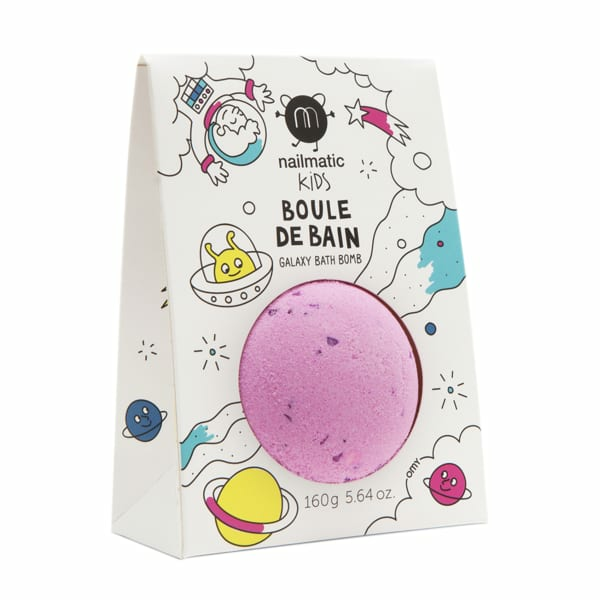 This Nailmatic bath bomb takes little ones on a splashy and soothing soapy cruise! The Cosmic pink bath bomb make a true girly statement in water only - no stains on skin or bathtub. Suitable for kids aged 3 and over. Marshes and Flint in Norfolk, United Kingdom.